Folding X chair. MEDIEVAL MARKET - SPES. 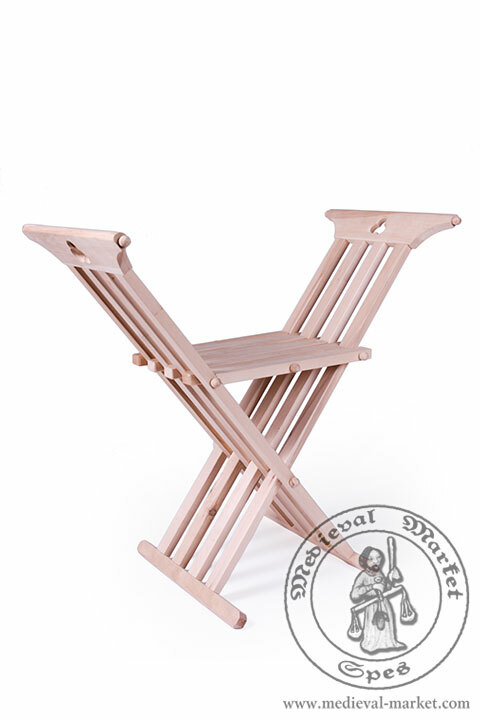 Our folding X chair is a light medieval furnishing made of birch wood. Its seat is on the height of 50 cm, ornamented with rosettes. This type of historical furniture is very handy. Thus, it's a perfect choice for a journey or medieval camping. The “X chair” name derives from the characteristic leg arrangement. 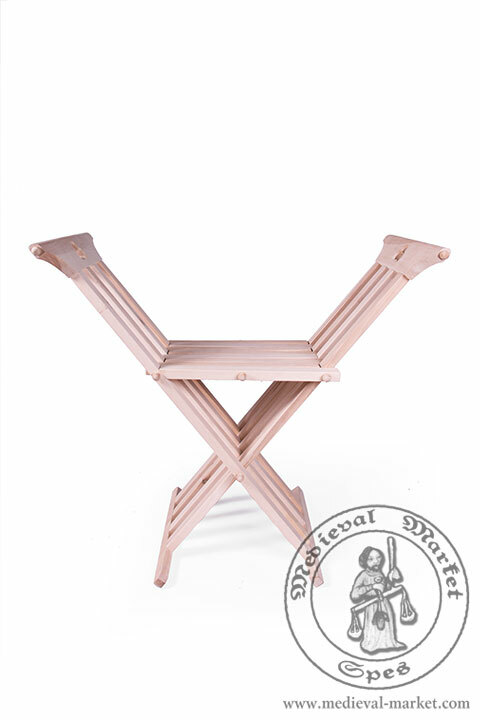 The folding X chair differs from the curule chair with lower position of armrests. On the other hand, Savonarola chair and scissors chair have backrests. 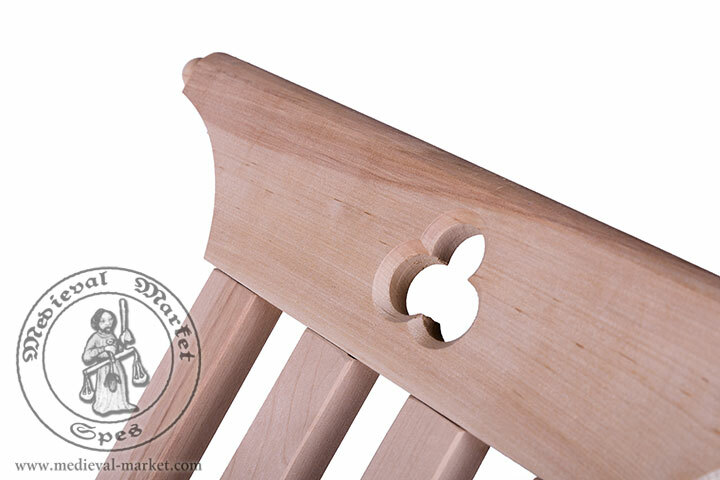 The basic version of this product have wooden seat. 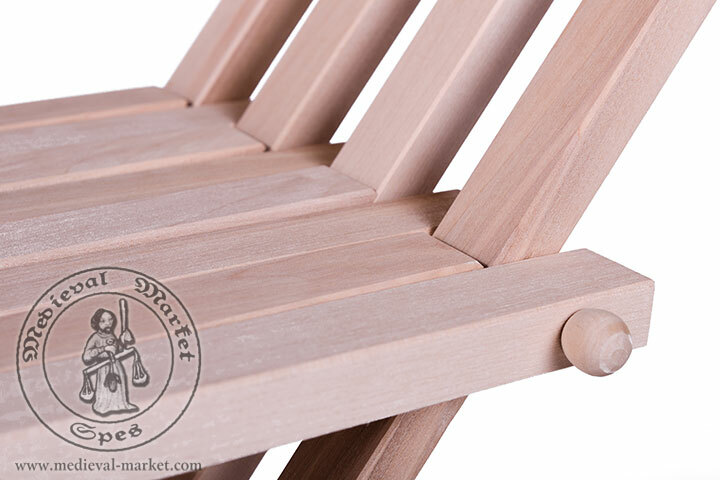 Still, in our assortment you will also find folding chairs with seat made of fabric. It is worth to underline that folding X chair is one of the most popular types of historical chairs. This furnishing was known in the ancient times in the Mediterranean Basin, e.g. in the Egypt. It gained its greatest popularity in medieval Europe. In this period it was used, for example, during liturgy rites. An example of medieval X chair can be found in Cappella di san Martino, kept in the Basilica of Saint Francis in Assisi. How to enrich a medieval chair? Despite its simplicity, the X chair was sometimes ornamented and encrusted with an elephant bone. We are coming across these expectations. Our medieval furniture can be manufactured with various embroideries and ornaments, even hand-painted. Contact us and share pictures, and we will prepare an individual offer for you.